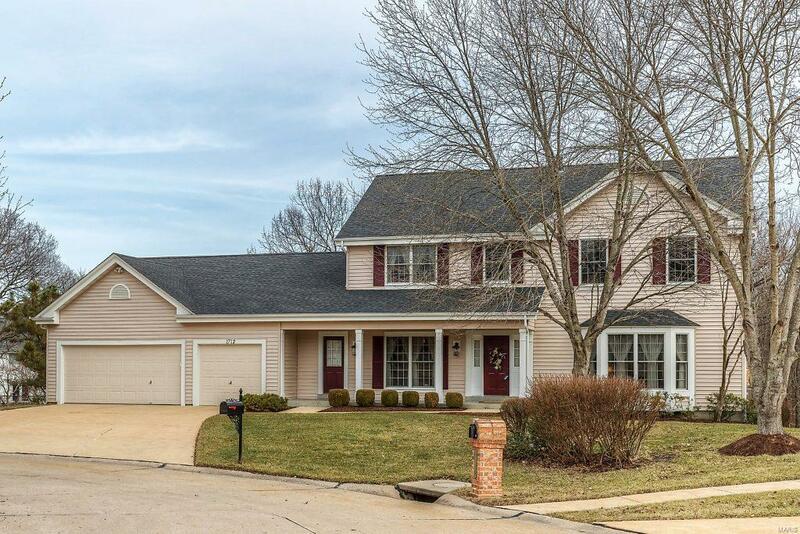 Beautiful 5 bed, 3.5 bath two story has been meticulously updated throughout by its original owner and is now ready to be enjoyed by another. 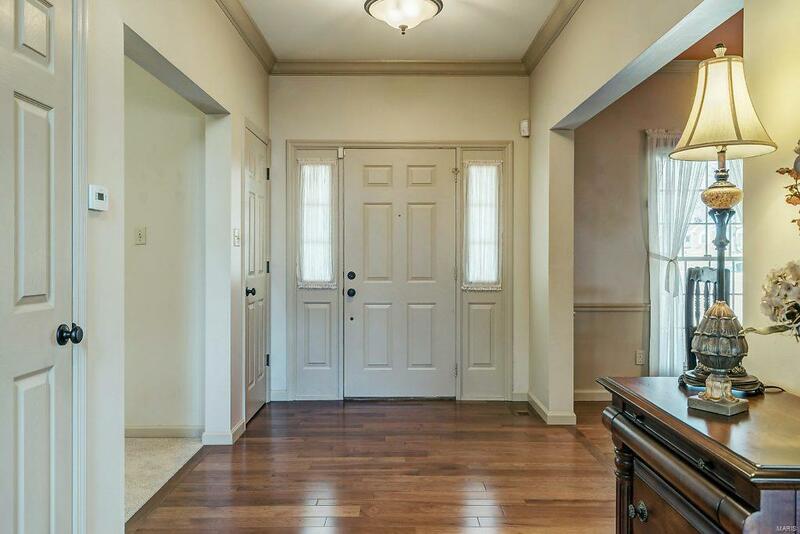 Curb appeal welcomes you into the foyer with gleaming, upgraded wood floors that flow through the dining, breakfast and kitchen. Formal living with bay window opens into the spacious sunken family room with fireplace and window wall showcasing the view. 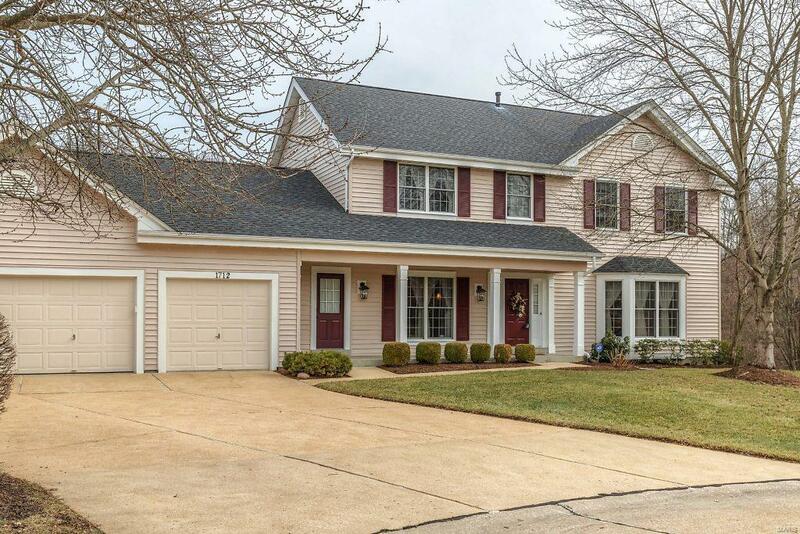 Expanded, vaulted gourmet kitchen with stone counters, breakfast bar and custom cabinets. Upstairs find the master bedroom suite w/ his/hers walk in closets and ensuite bath w/ tiled shower, soaking tub and dual sinks. 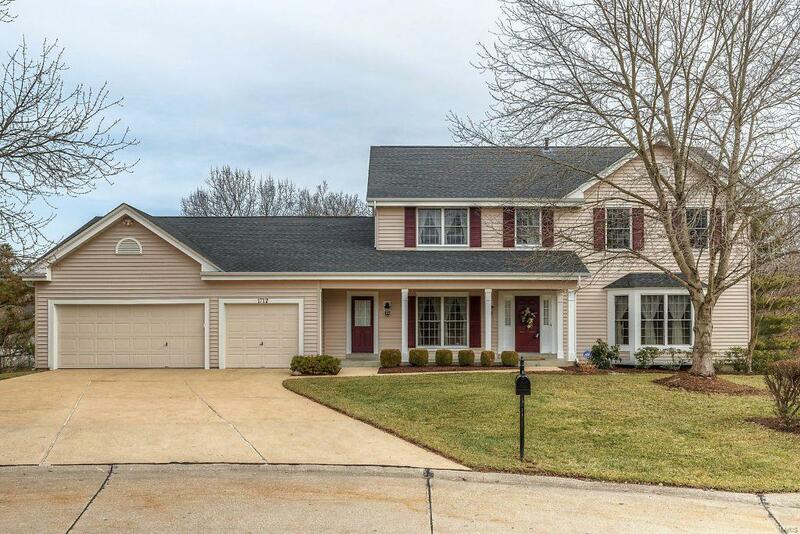 3 additional beds and an oversized guest bath round out the upstairs. Partially finished walk out lower level has wet bar, family room, true 5th bedroom and full bath w/ heated, tiled floors. Dual decks to enjoy the pristine yard backing to treed common ground. 3 car garage, main floor laundry, culdesac lot, Rockwood School District approx. 4,200 sq. ft. of finished living space.